The second concert organized by Prahlad Mira Academy for Music and Arts was held at the MLR Convention Center in South Bangalore and featured 3 hours of golden oldies from the Immortal musicians of Bollywood yester-years. The maiden concert organized by Prahlad Mira Academy for Music and Arts featured 3 hours of romantic melodies by Kishore Kumar. 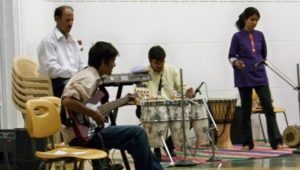 The concert was held at Your School in South Bangalore. 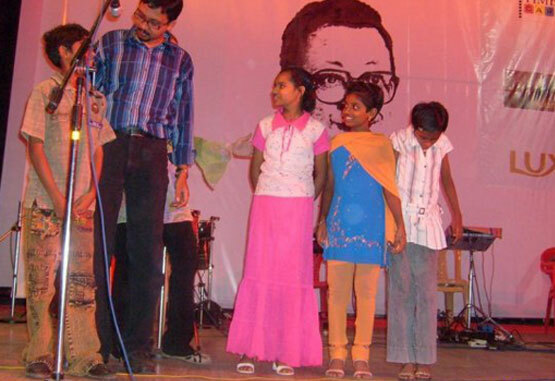 After over a year’s sabbatical, Zansam performed for Rotary on 14 August, 2010. The performance was to mark the felicitation of the out-going presidents of Rotary and ended with a 3-hour musical featuring the golden oldies of Hindi cinema music. Zansam entertained the staff and team at the Sarla Birla Academy in a fund-raising effort to support SOCARE-IND. The performance generated donations amounting to Rs 25,000, that were contributed to SOCARE-IND by the Sarla Birla Academy. 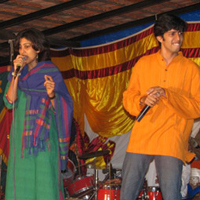 Zansam performed at Ruppi’s Resort on the outskirts of Bangalore, on 31 December 2008, from 9 pm to 10:30 pm. The performance included some of the most foot tapping numbers from Hindi and Kannada cinema. 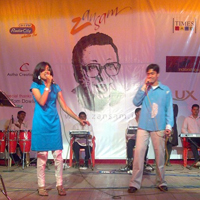 Zansam performed at Shaam-e-Gazal organized at St. Marks Hotel, Bangalore from 6:30 pm to 9:30 pm. Our second concert in Bangalore, “Pancham – A Musical Tribute”, was held on Saturday, 20 September ’08. The concert was a run-away success. We thank the audience for such an overwhelming feedback. Practice began again for our second concert in Bangalore. Zansam takes a break with a few of the members studying for college exams. Zansam performs at The Woodrose, a family club in South Bangalore. A corporate show for NR Group, Bangalore, during their annual day celebrations. We were a part of a cultural evening that also included Indian classical recitals, bringing the crowd to their feet, dancing to Zansam’s music. Our first public show, Nostalgia Night receives overwhelming response. The Zansam website goes live to the world.